We have provided links to Amazon for some of the items mentioned in our blog. Take a look around, we have tried to find you great deals on the products we recommend. Sensory processing disorders affect up to one in every twenty children and the numbers keep rising. 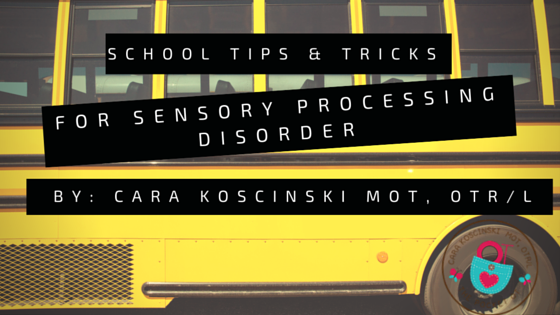 More research is being done to look at the causes and frequency of Sensory Processing Disorder (SPD). In fact, the name has even been changed from Sensory Integration Dysfunction as our understanding and knowledge base has increased. SPD is a complex disorder of the brain, which results in difficulty with processing information that comes from our senses. It is important to realize that there are more than just the five senses we were taught about in school. Information is taken in from touch, smell, vision, hearing, taste, vestibular, internal organ, and proprioceptive receptors. Vestibular receptors are responsible for detecting changes in position in space, balance, and movement. Proprioceptive receptors provide information about body awareness, position, and posture. Interoception involves the internal regulation responses in our body such as hunger, thirst, blood pressure, and even toileting urges. Throughout our lives, we are constantly bombarded with information we receive through our senses, and we must successfully integrate this information to make sense of it and form an appropriate response. There are times when the response we form does not match the information we have received. For example, a student may have a panic type response when another child simply brushes against him in line. Another example is when a student feels pain when wearing clothing with tags or seams. Children and adults who have SPD can have successful lives. Knowing how to adapt the environment and keep a regular “diet” of activities that provide a balance of the sensory system is important. Seeking help from an occupational therapist is key to determining what sensory areas are hyper (more), hypo (low), or mixed. For example, someone may be hyper-sensitive to sound and light, but not feel pain or deep touch as strongly as the person next to them. Everyone is different and determining which specific areas are heightened or low is the key to making a successful treatment plan. Many hours in a child’s day are spent at school. Knowing how to make accommodations and adaptations to your child’s environment can help greatly! Here are some ideas found in our books (The Parent’s Guide to Occupational Therapy for Autism & Special Needs & my new Special Needs SCHOOL Survival Guide book). -Offer differently sized pencil grippers for children who have difficulty holding onto pencils correctly. -Use mechanical pencils for children who do not apply enough pressure to their pencil. -Break crayons or pencils in half to help children to develop grasp. Often, kids will hold onto the pencil with all of their fingers if the pencil is too large. -Add a Popsicle stick or stamp between words to work on spacing. -Use a highlighter for the top, middle, and/or baselines to help children to realize where lines are on the paper. Use a different color for each line. -Use a sticker on the top left side of the paper as a reminder of the way the paper should be positioned. Students can then refer to the sticker when reading and writing to make sure they are moving from left to right. -Use colored pencils instead of crayons for children who do not like the smell or texture of crayons. – Allow children frequent breaks at school for movement. Ideas include: doing push-ups against the wall, doing jumping jacks, or running in place. -Give students who fidget a strip of carpet or Velcro taped to the bottom of the desk. -Allow students to use a manual pencil sharpener, the more work muscles do, the better the proprioceptive input. -Place heavy exercise bands around the front legs of the chair. Press shins and feet up against the band for resistive activity. -Pack lunches that include crunchy snacks to work mouth muscles. -Use the smallest straws possible when drinking liquids. Drink boxes have nice, small straws that cause the mouth muscles to work harder. -Carry a backpack with books between classes. -Use chewable jewelry such as Chewlery or place heavy clear aquarium tubing onto the ends of pencils. Giving kids input to oral muscles can be especially calming when they are concentrating. -Allow students who need it to use weighted lap pads during class. You can easily make them out of rice, beans, sand, or pellets. -Allow students to look at a schedule for the day. If possible, post the schedule on the student’s desk or within sight. Knowing what to expect is important. – Ask schools to give students an extra set of books for home use. This will cause less stress in trying to determine which books need to come home at the end of the day and will alleviate the stress/anxiety of forgetting books. -Provide organizers or planners for students with enough space for both the parent and teacher to make notes. This will also help with daily communication between school and home. -Color code folders and binders by subject. -Have a designated homework area. Make sure it’s quiet, clear of clutter, and distraction. -Provide all of the necessary supplies in a pocket or box on the desk and homework area. Fumbling around for supplies is extremely distracting. -Step by step directions and use of pictures when possible will help with difficulty when following instructions. Make sure students can repeat the directions back to you. **The most important gift you can give your child is movement! Physical activity, recess, and gross motor (large muscle movements of the body) have proven to be critical in increasing a child’s attention. Never take recess away from a student as punishment. It is imperative that the student is supported by a team approach. The parent, school psychologist, counselor, and teachers must all be aware of a child’s sensory needs and must know how to correctly accommodate the school for success. No one wants to see a student fail and most importantly, children have a desire to be successful. Every child can succeed if given the chance. It is up to us to modify their environment for success! Cara, Thank you so much for sharing this wonderful resource for therapists, teachers, and parents. Your suggestions are "user friendly" and can be accomplished without too much of a financial hardship. I will share it, for sure. Thank you, Katherine! I love suggesting things that don’t cost a ton of money….we are all looking for a financial break once and a while.